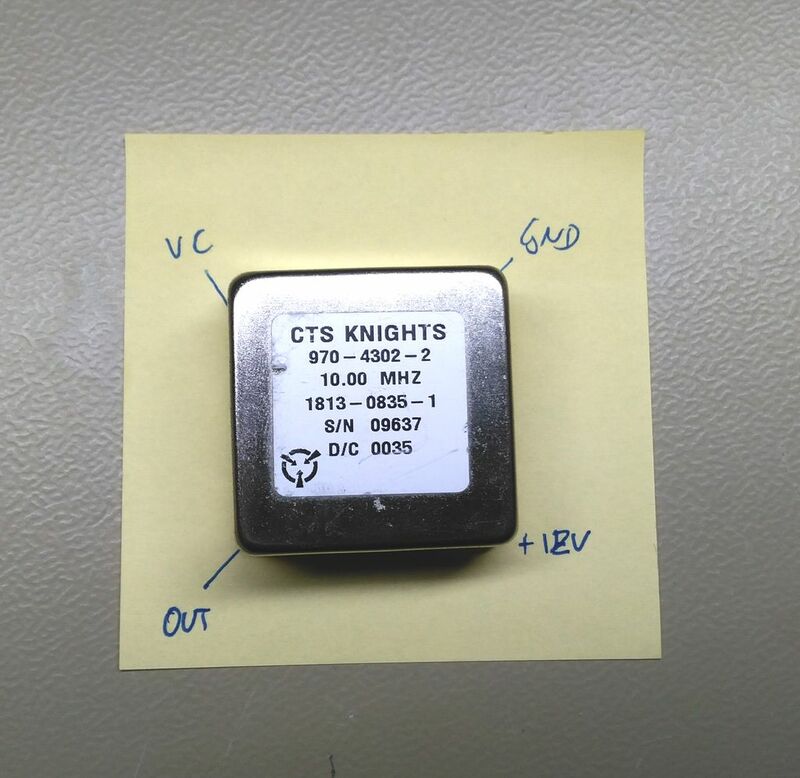 The CTS Knights 970-4302-2 appears to be a temperature-compensated crystal oscillator with 10MHz output frequency. There doesn't appear to be any information on the internet, but I could deduce some things from the board it came on. The operating voltage is 12V and the control voltage seems to be effective over the entire 0-12V range. The output is a sine wave around 0V with a few volts peak-to-peak amplitude. My particular unit came from an Agilent E4400-60010 reference board.